disappearing from their lofty perches across the nation. collectible toys and watches featuring SpongeBob and Friends. 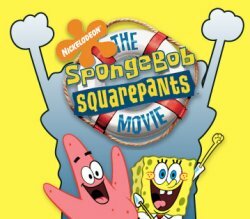 to an inflatable SpongeBob disappearance in Minnesota,"
said Russ Klein, Chief Marketing Officer, Burger King Corporation. to previously ‘napped Spongebob SquarePants Inflatables." these AWOL SpongeBobs find their way home," Mr. Klein said. to qualify for the reward. limited time while supplies last. information pages and message boards.